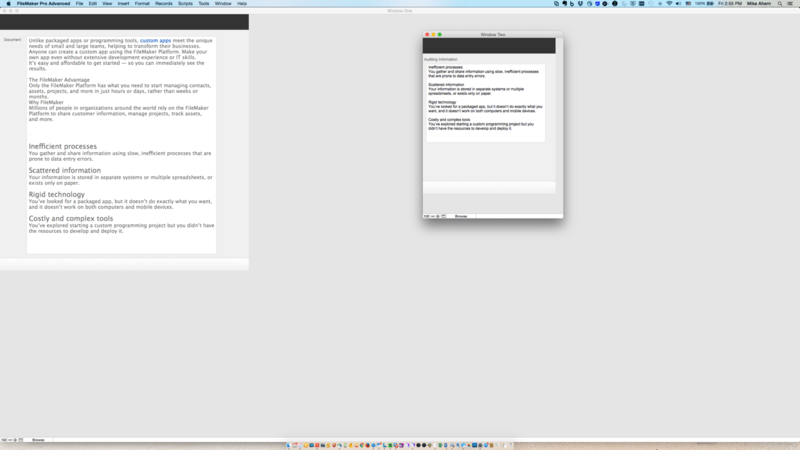 On a mac, you get the expected result of a maximized window and then a second smaller window off to the right. Not very helpful. But if we open that same file in FileMaker 16 and run the same script, we get the same type of result we get on a Mac: the windows are now independent. Problem solved! 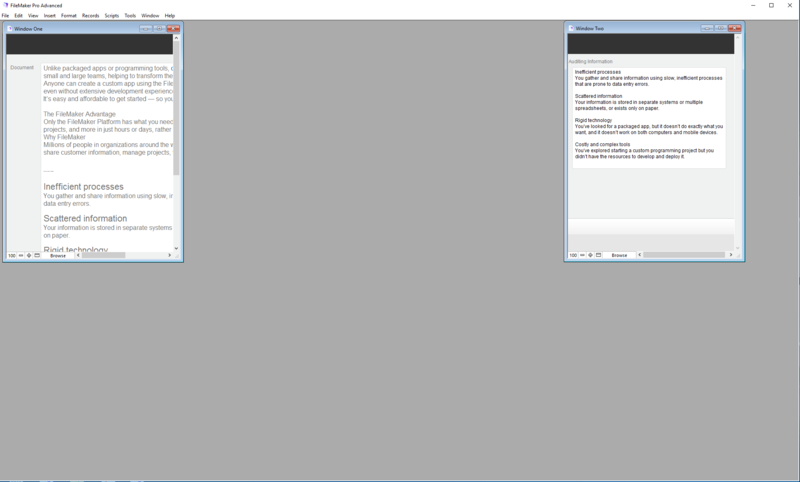 If you have ever developed a FileMaker solution on a Mac that opens a second window for some reason, and then port it to Windows, you know the frustration of having the FileMaker windows resize in a manner not expected. 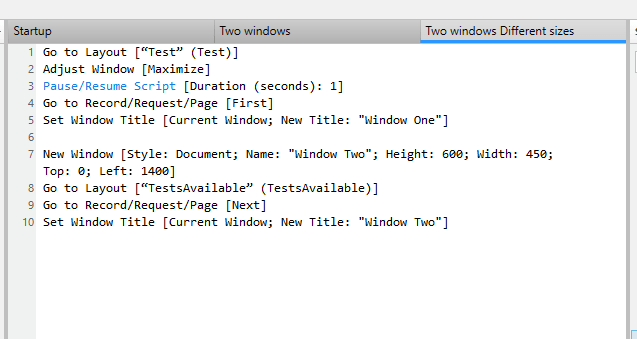 To demonstrate, I wrote a script that opens a window, maximizes it, pauses and then opens a smaller window.